We want to end animal suffering this Christmas. 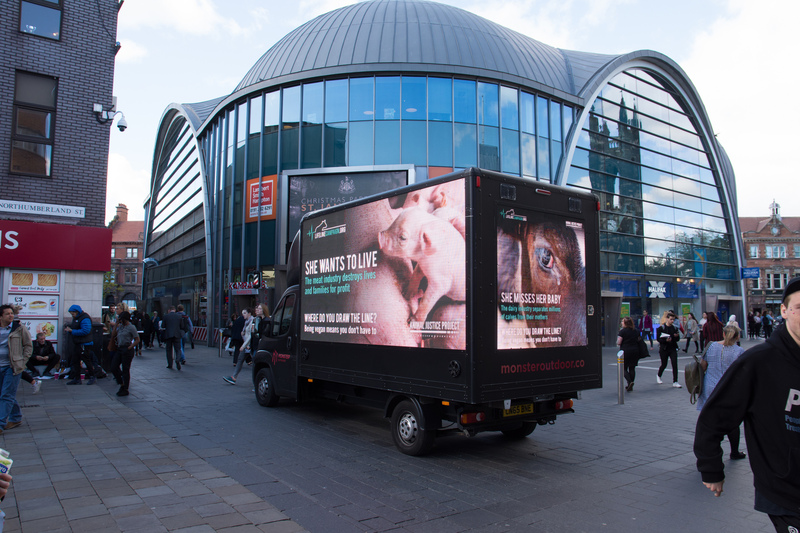 We need your help to spread our message further across the UK with our amazing ad vans! 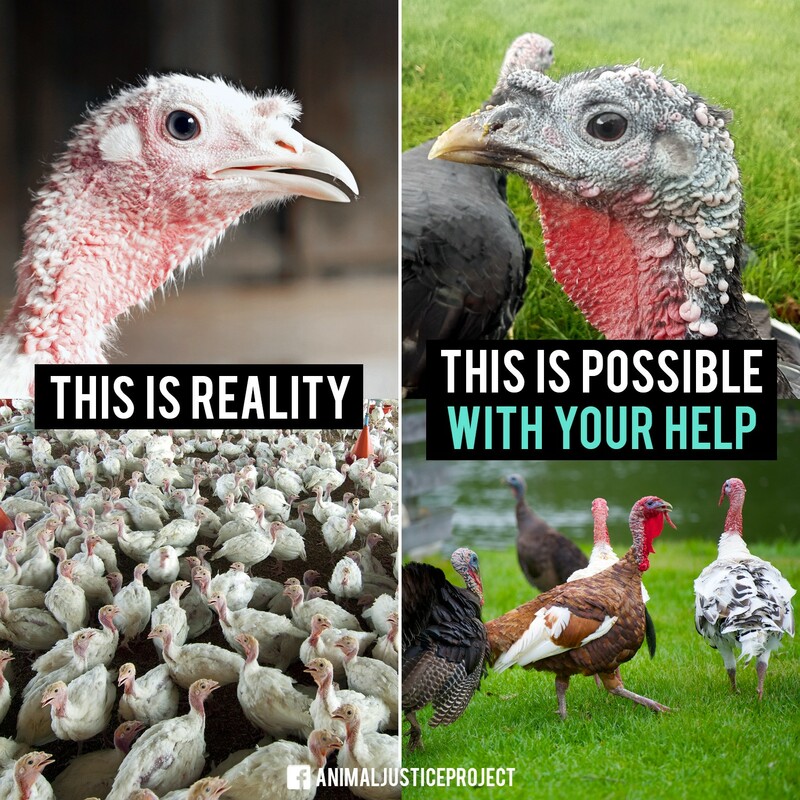 Whether it's stuffed turkey, 'pigs in blankets' or goose fat gravy, animals suffer immensely at this time of year. We want to end this! The scale of animal exploitation for the Christmas market is huge. Over two million turkeys are killed in December alone in the UK, and 14 million over the year. The vast majority of these intelligent, inquisitive birds are crammed in barren sheds with up to 25,000 others. As they grow ever larger, due to selective breeding, their bodies begin to weaken and collapse. By the time they reach the slaughterhouse, mostly aged between 12 and 26 weeks old, their bones are fractured and they may be very sick. We want to raise awareness about the immense suffering that these intelligent birds endure, as well as other animals that end up on the plate at this time of year. Through impactful outreach events across the UK this December, we want to encourage thousands of people to make more ethical choices this Christmas and beyond. 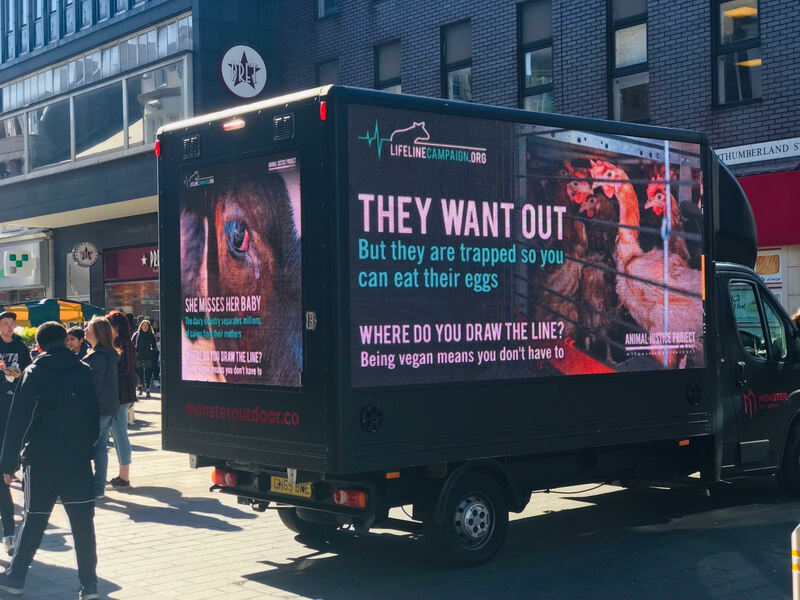 We are fundraising to carry out these important events with massive eye-catching pro-veganism digital ad vans, helpful resource leaflets and delicious cruelty-free food samples. Together we must urge people to go vegan and only then can this really be a season of goodwill. We are relying on you to make our aims a reality! This pig is very sensitive and clever, but in the meat industry, he is treated as an insignificant product. He has been raised on a filthy and crowded factory farm and has endured painful mutilations, including tail docking and castration, without any anaesthetic. This pig will suffer his whole life before being brutally slaughtered, just so humans can eat 'pigs in blankets'. We want to stop this. Animal Justice Project is a non-profit organisation asking you to be a Lifeline for the animals. 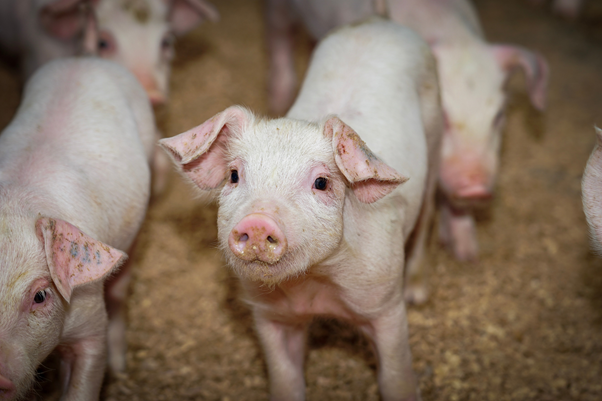 We are on a mission to raise awareness on two areas of animal exploitation causing harm to the most number of animals – ‘food’ production and animal experimentation. 6.4 billion animals are killed each year to supply the UK food industry; last year over 3.5 million animals were used in cruel and unnecessary experiments in the UK. We have been working very hard to help end this suffering. We have had a presence in Bath, Liverpool, Manchester, London, Oxford, Winchester, Glasgow and Huddersfield. 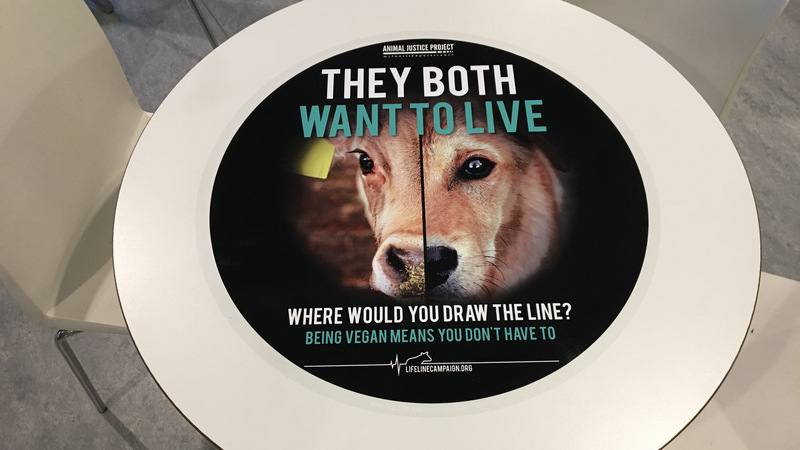 The campaign has been very successful so far, with many people pledging to go vegan and several students pledging to no longer use animals in their research. 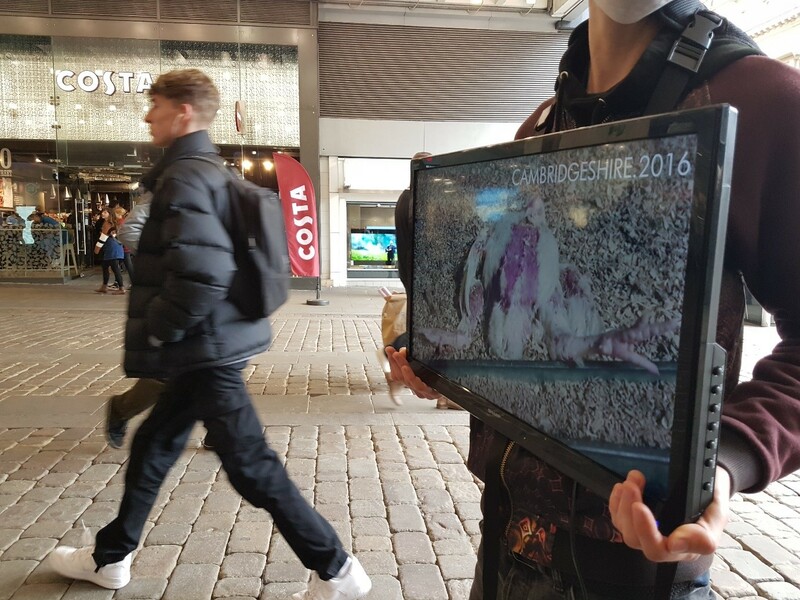 We have placed thought-provoking 'table wraps' in canteens and held poignant outreach events. We have displayed our message on bus stops and massive billboards. We have also shown films showing the treatment of animals in laboratories and on factory farms. 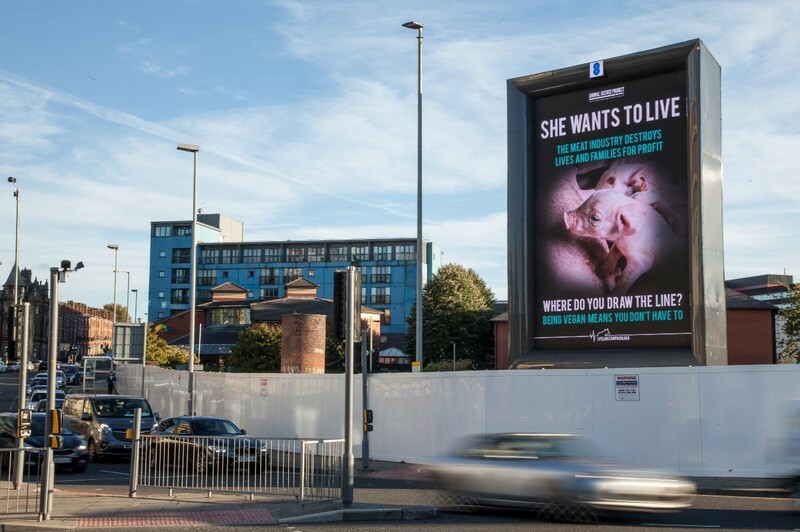 We want to spread our message to more people across the UK! Your donations will pay for the hire of high-impact ad vans just like the one below. We plan to take these vans to busy town and city centres including Nottingham, Sheffield, Cheltenham, Lincoln and Croydon. We feel that these vans will be extremely effective as they are eye-catching and have sound effects that will attract lots of attention. We will also be giving out food tasters so members of the public can taste how delicious vegan food can be. Our volunteers will have friendly conversations with individuals and distribute useful resource cards with links to documentaries, and tips on how to live a vegan and cruelty-free lifestyle. These outreach events will attract a lot of press attention that will reach an even wider audience. Please see examples of our previous media coverage here. We hope to hold these events around Christmas time, so will focus on the animals that suffer the most at this time of year: turkeys, ducks and geese. We are very confident that we can inform thousands of people why they should go vegan this Christmas and beyond. After the Christmas events, all funds raised will go towards further outreach in 2019. We are relying on your support to make this happen!  A personal email from us thanking you for your support. You will also receive a code to get 10% off everything in our Etsy shop. We will send you an Animal Justice Project badge set, vinyl sticker and a personal letter from us thanking you for your support. You will also receive a code to get 10% off everything in our Etsy shop. We will send you an Animal Justice Project tote bag, vinyl sticker and a personal letter from us thanking you for your support. You will also receive a code to get 10% off everything in our Etsy shop. We will send you an Animal Justice Project tote bag, badge set, vinyl sticker and a personal letter from us thanking you for your support. You will also receive a code to get 10% off everything in our Etsy shop. We will send you an Animal Justice Project t-shirt, tote bag, vinyl sticker and a personal letter from us thanking you for your support. You will also receive a code to get 10% off everything in our Etsy shop. 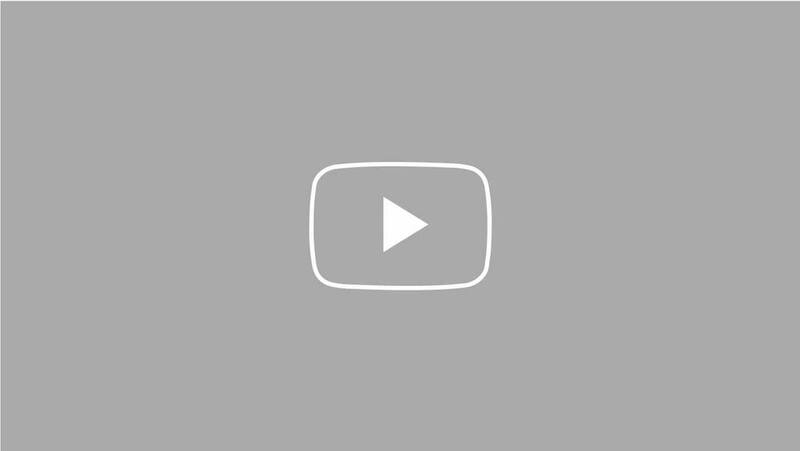 You will receive a personal shout-out on our social media platforms. We will also send you an Animal Justice Project t-shirt, beanie hat, tote bag, badge set, vinyl sticker and a personal letter from us thanking you for your support. You will also receive a code to get 10% off everything in our Etsy shop.